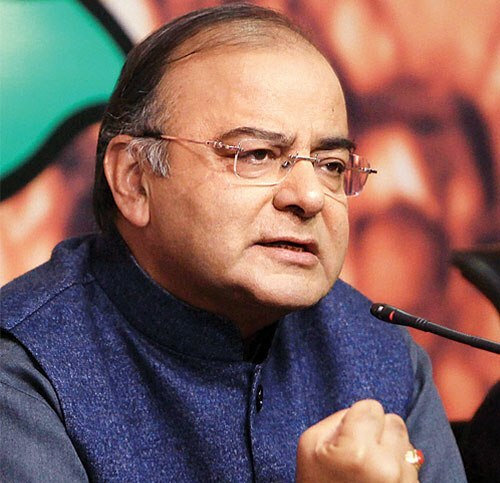 New Delhi, Nov 2: Finance Minister Arun Jaitley will on Monday inaugurate an international conference here on regional cooperation to deal effectively with illicit financial flows, mainly from tax frauds and human trafficking. The three-day conference on “Networking the Networks” would attempt to identify the best practices of international organisations for cooperation on illicit financial flows, the finance ministry said in a statement here on Saturday. “The proposal to hold the ‘Networking the Networks’ meeting in India was agreed during the last visit of the executive director, UNODC (United Nations Office on Drugs and Crime) to India on December 3, 2014 and his meeting with the revenue secretary,” the statement said. “He has also reaffirmed UNODC’s readiness to further extend support to India and the region in countering trans-national organized crime and promoting drug prevention, treatment and care among vulnerable population groups,” it added. With South Asia being vulnerable to illicit financial flows, informal money transfer systems are also popular and can be easily misused by the criminal networks for the transfer of crime proceeds, as well as for terrorism financing. “One of the ways to effectively combat the criminal networks is to disrupt their financial flows. But the criminal networks are of transnational nature and money movements are executed very fast,” the statement said. “So to combat these criminal networks and their illicit financial flows, law enforcement agencies need fast operational cooperation with their foreign partners, and capacities to deal with the financial crimes,” it added. The conference would also deal with instituting a regional coordination mechanism for intelligence sharing in criminal matters. Currently there are multiple regional organizations for law enforcement cooperation like the Central Asian Regional Information and Coordination Centre (CARICC) and Southeast European Law Enforcement Centre (SELEC). “But their capacities are not fully utilised for tracing of illicit financial flows and for the law enforcement-financial intelligence cooperation,” the statement said. The conference would also make recommendations on best practices and solutions which can be applied to the nascent South Asia Regional Information and Coordination Centre (SARICC).